Getting more natural light can help banish those Winter blues, although over-exposure to the sun can be harmful to your health, don't forget that sun can also be really good for you! Vitamin D is an essential mineral for everyone. This vitamin has numerous benefits including immune system regulation, body weight maintenance, asthma symptom control as well as helping to keep the brain working efficiently into later life. Exposure to sunlight is the primary method in which people receive a sufficient amount of vitamin D.
Aside from health and energy saving benefits, natural light is also helpful for increasing the aesthetics of a space. Architects use natural light to make spaces appear larger, illuminate an interior structure and increase the beauty of a space. 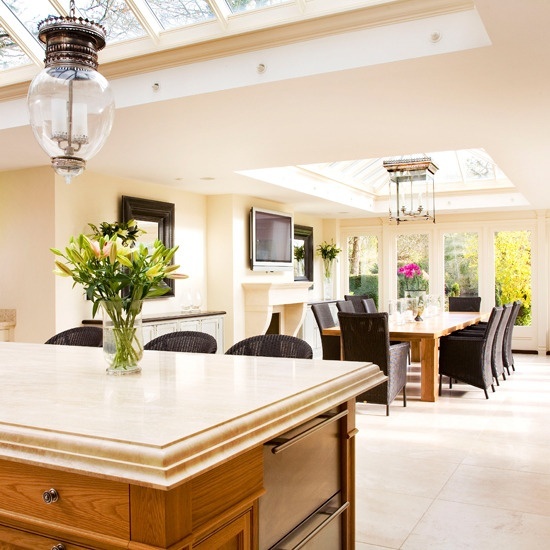 Natural light will have the same effect on your home. Did this make you want to head into your Conservatory or Outdoors? If your space needs a little refresheing, take a look at our Indoor & Outdoor ranges.